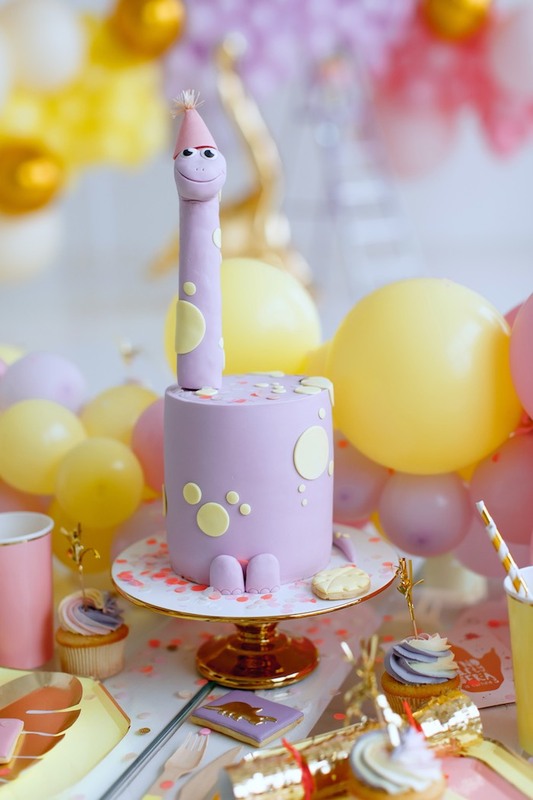 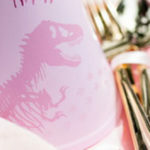 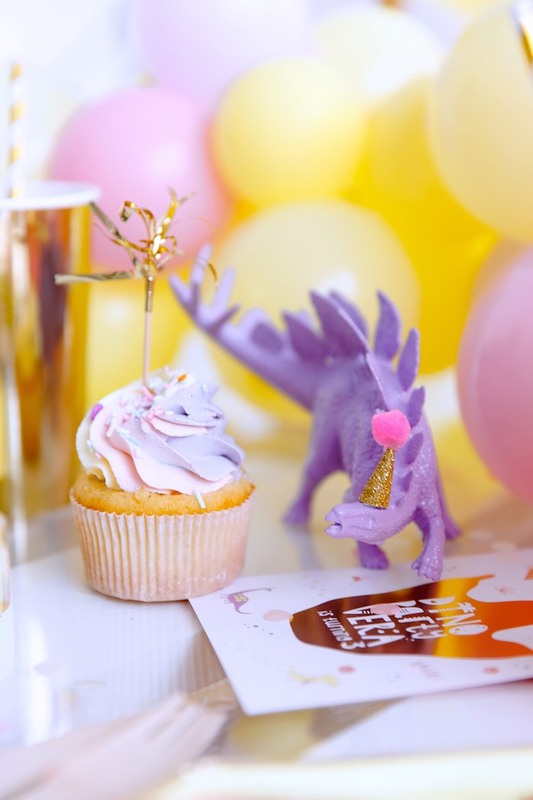 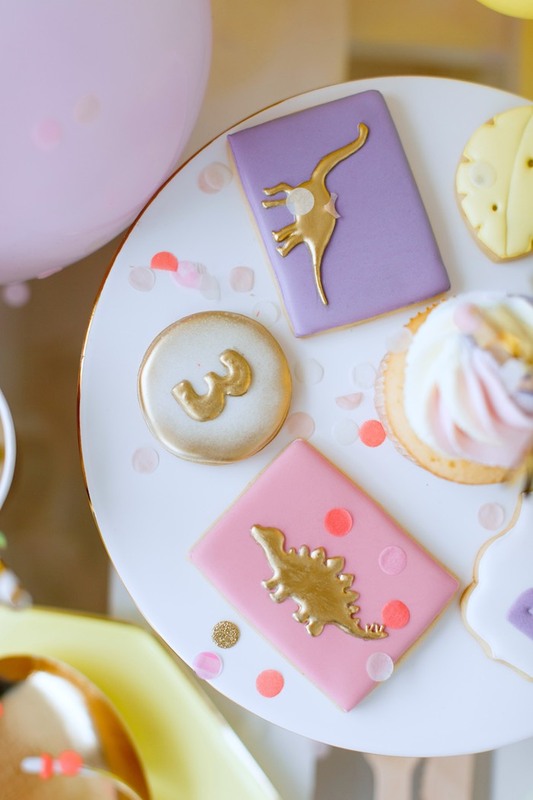 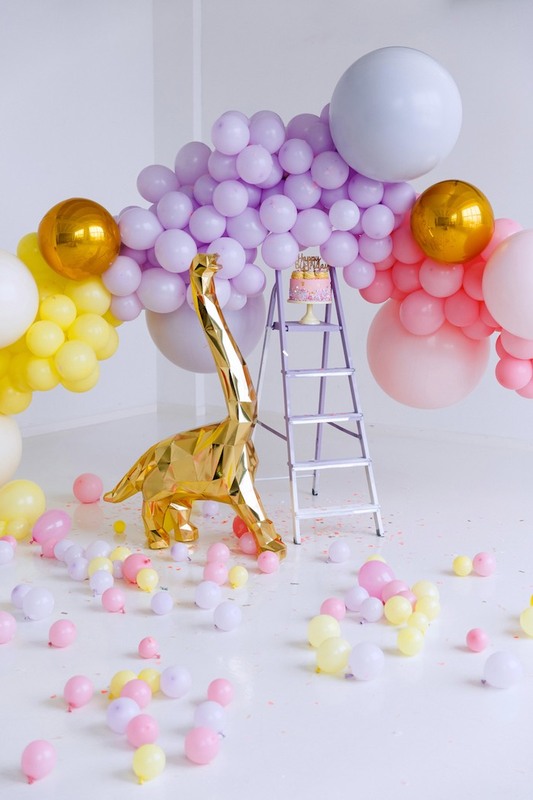 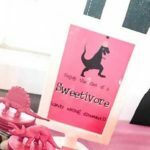 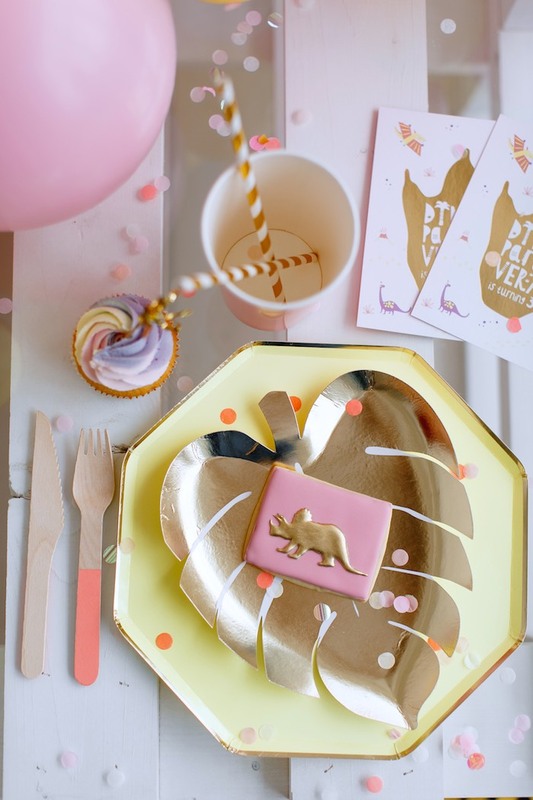 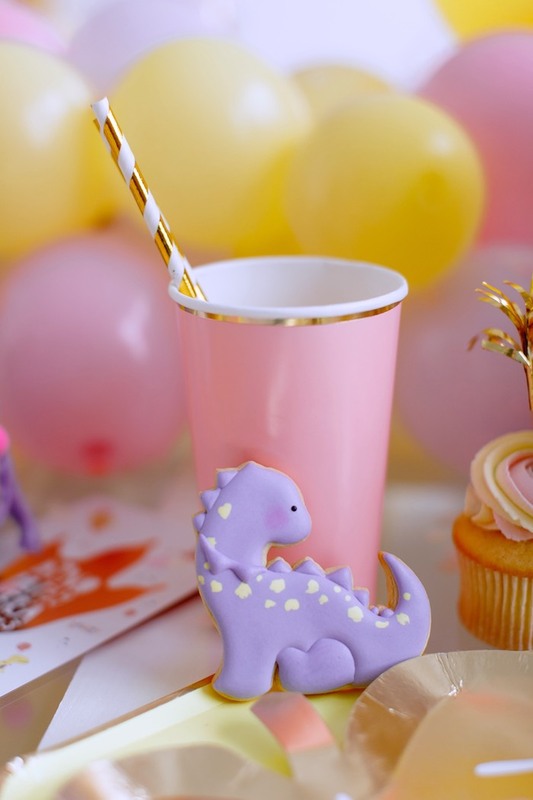 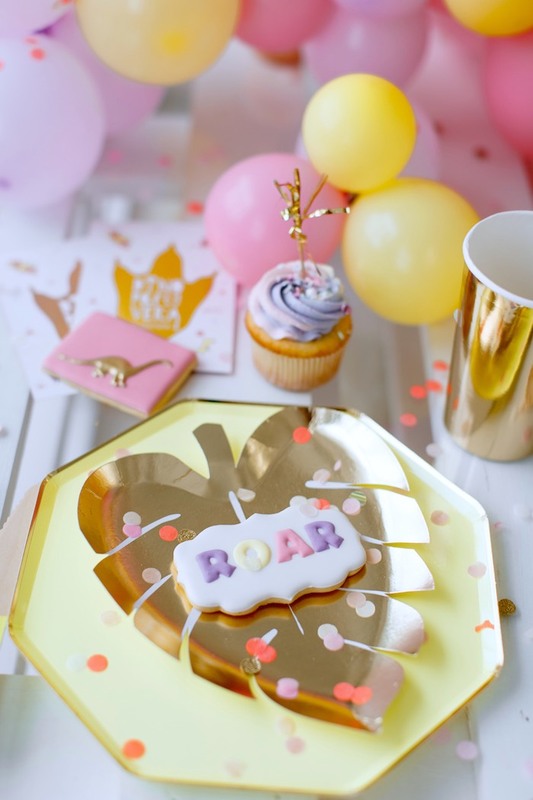 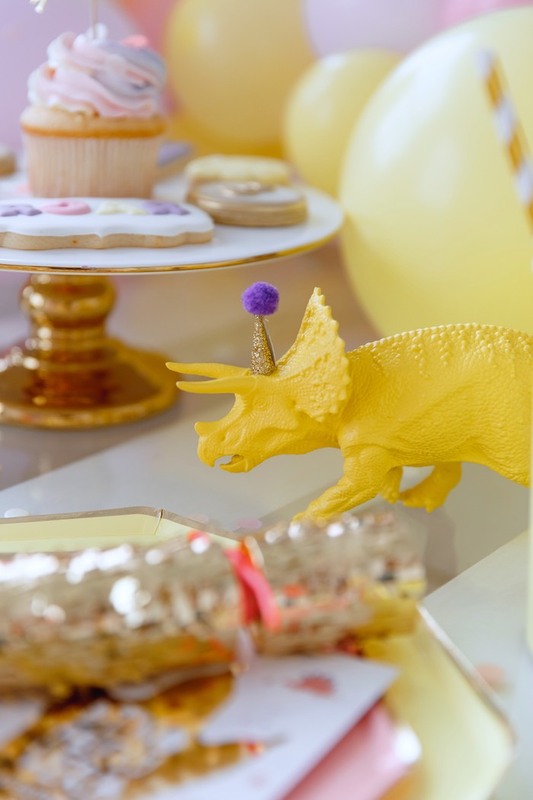 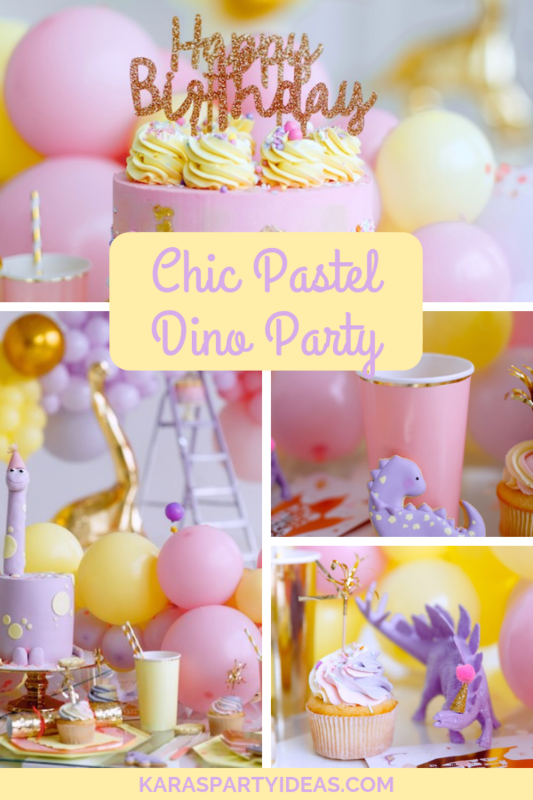 Stomp your feet and give a shout, this Chic Pastel Dino Birthday Party by Irina Episheva out of Saint Petersburg Russia, is on the loose! 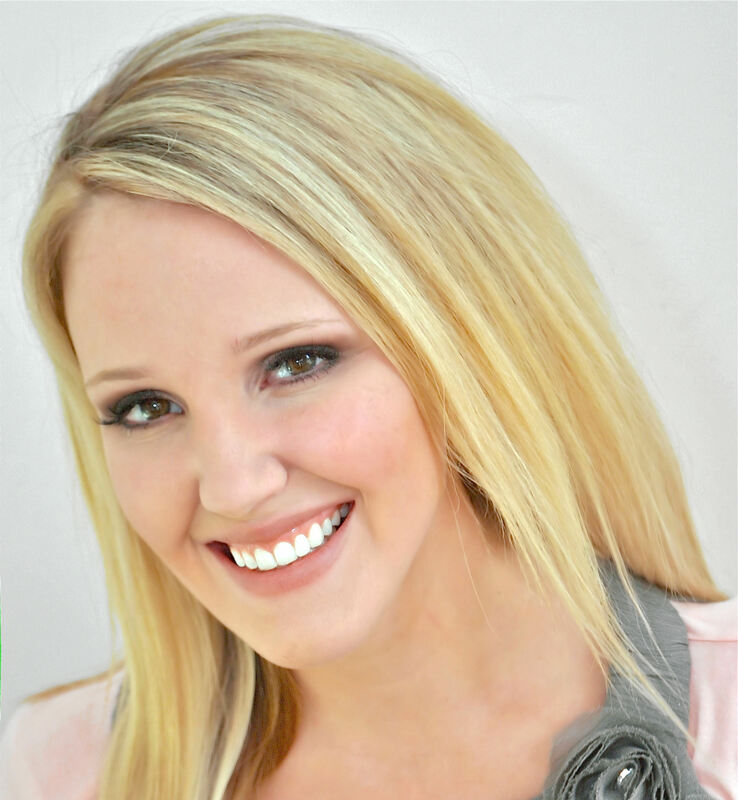 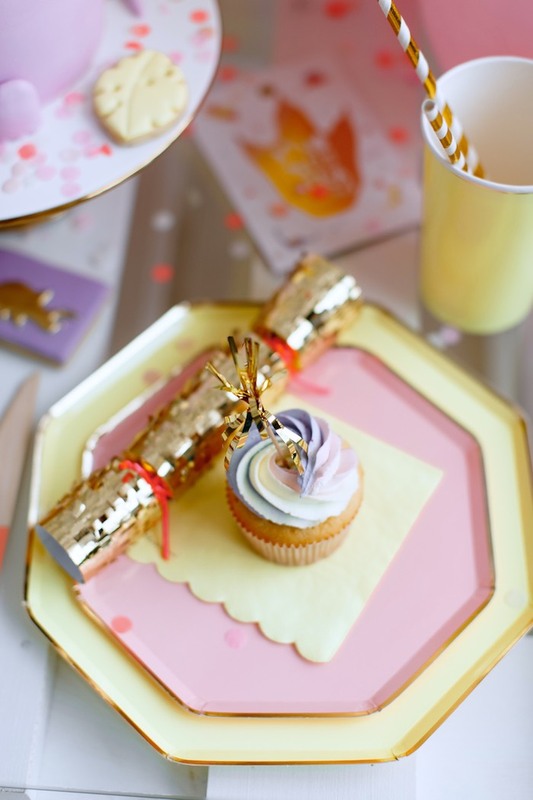 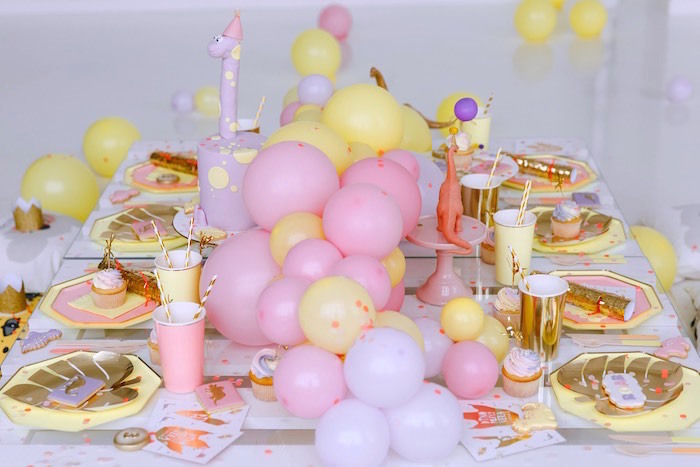 Featuring an adorable pastel color palette accented with gold, this celebration is both breathtaking and bold! 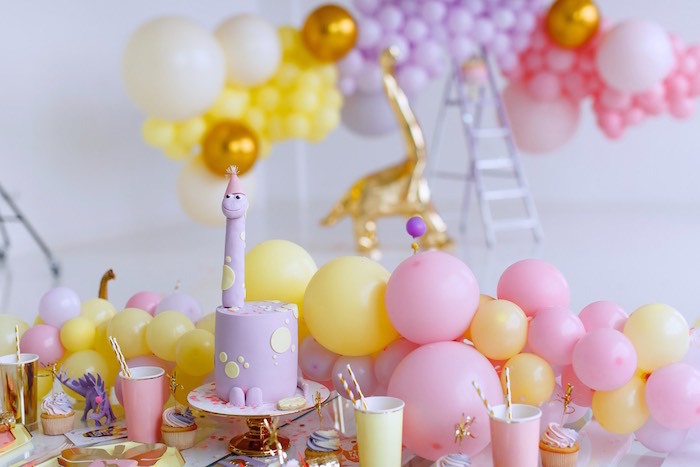 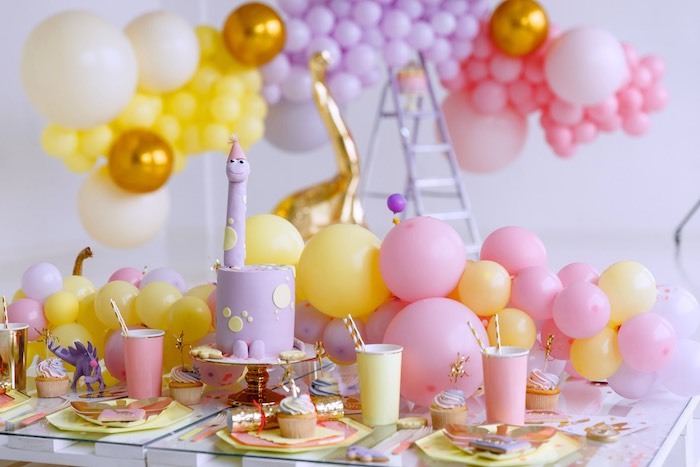 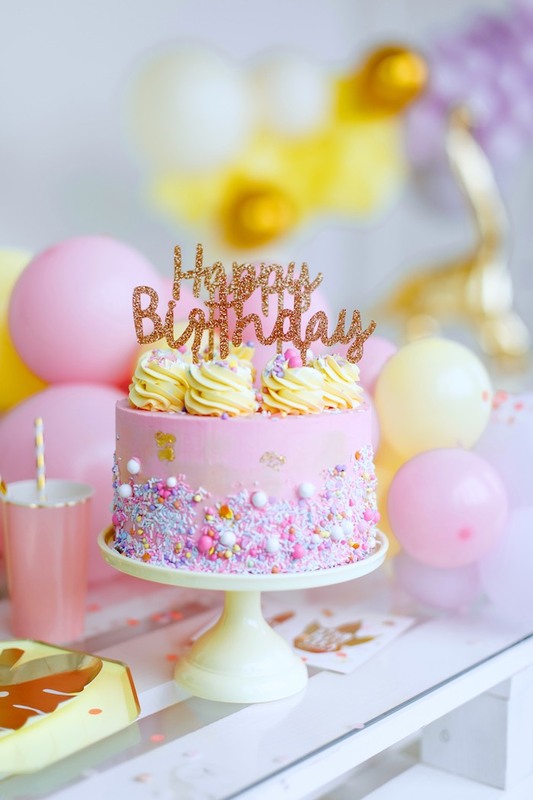 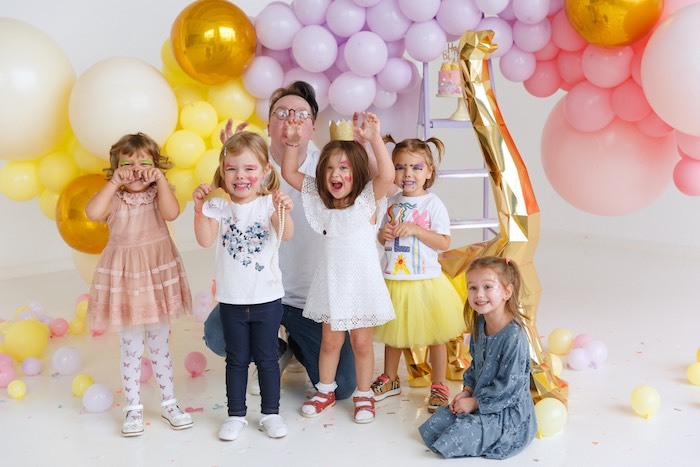 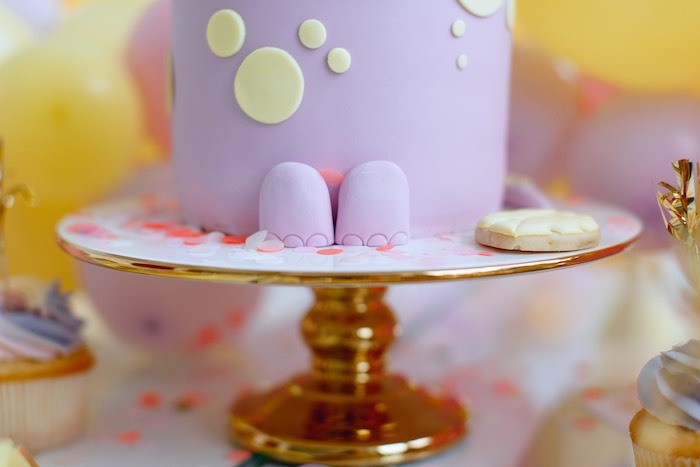 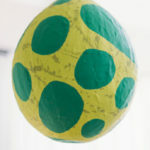 “This party was designed and set-up for my 3-year old daughter Vera. 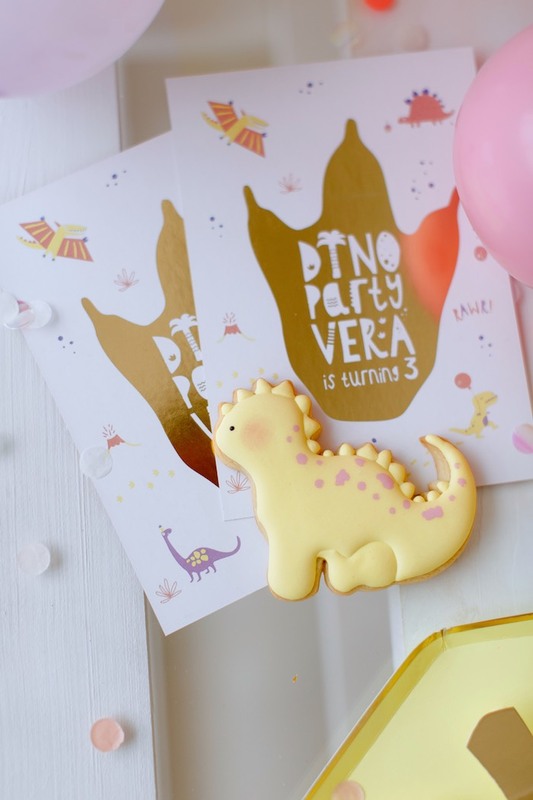 She adores dinosaurs and also knows all the types… We have a lot of books about these old creatures! 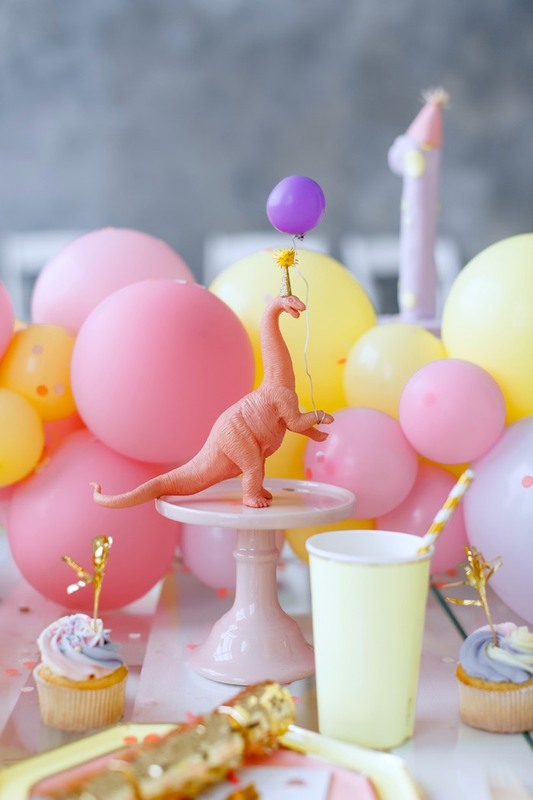 So I had no doubt about what her party should be! 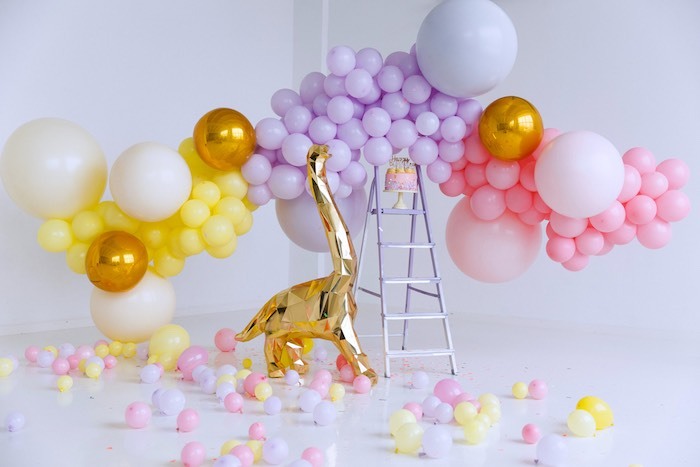 The gold color is one of my favorite and of course lilac! 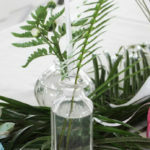 The lemon is so fresh and comes with spring – love it! 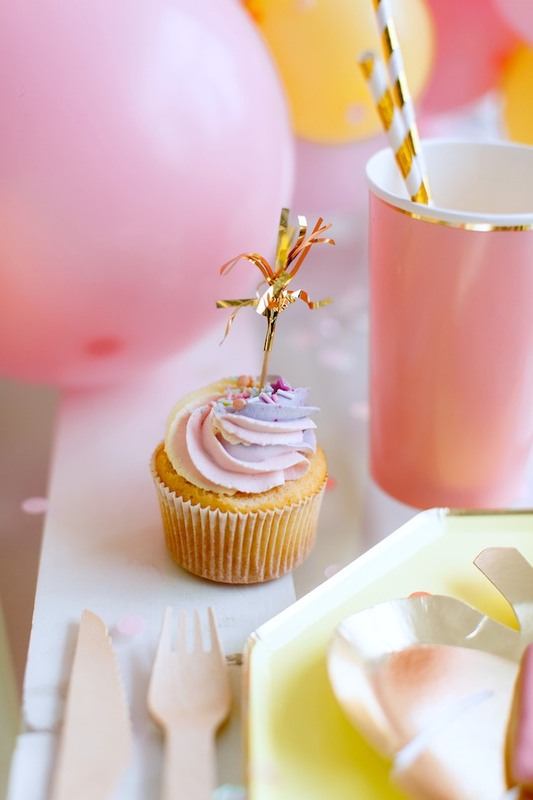 Pink is pink… This color palette will always be in trend and brings a lot of joy!